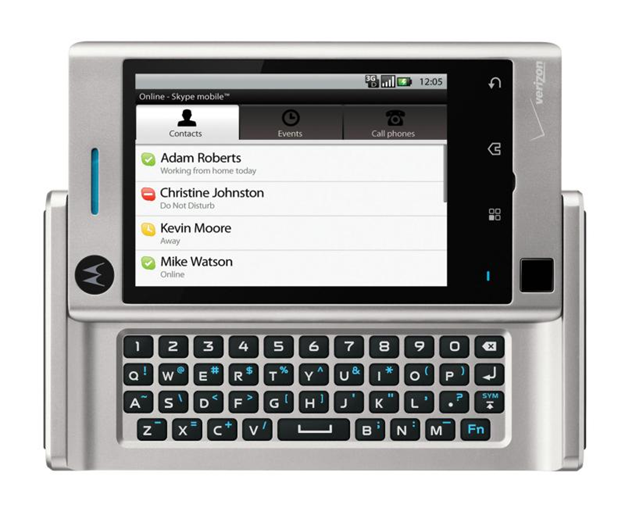 As promised, today at CTIA Wireless 2010 Skype launched its Skype Mobile application, available on select Verizon phones (Blackberry and all of Verizon's Android lineup - Droid, Droid Eris, Devour) because of an exclusive deal between the two companies. Skype Mobile promises to have an Always-On capability, so that you can be permanently logged in, similar to the Google Chat application that comes with every Android phone. Engadget reports that the app does not launch with WiFi enabled - you have to turn WiFi off in order to use it. 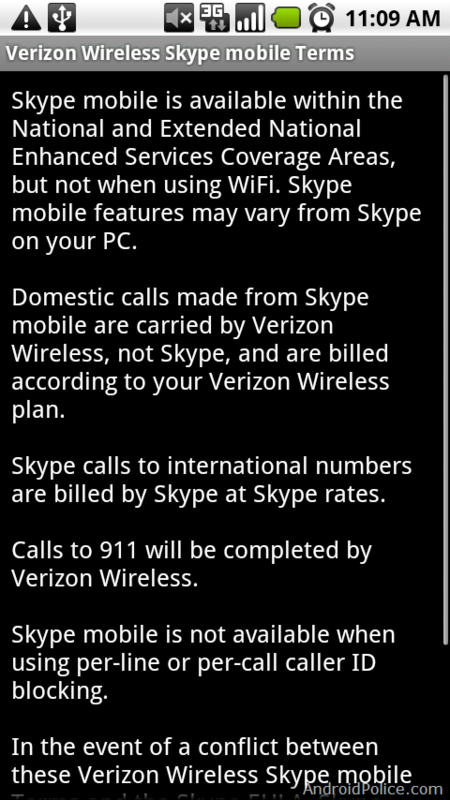 This is because all calls are handled purely through Verizon's voice network and then routed to their destinations - no data is being used, even for Skype-to-Skype calls. We are still trying to figure out all the details of this confusing process - stay tuned. 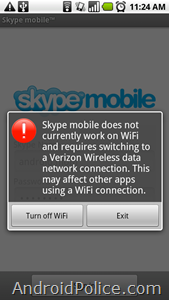 Skype itself clearly states that the application cannot be used when WiFi is enabled. 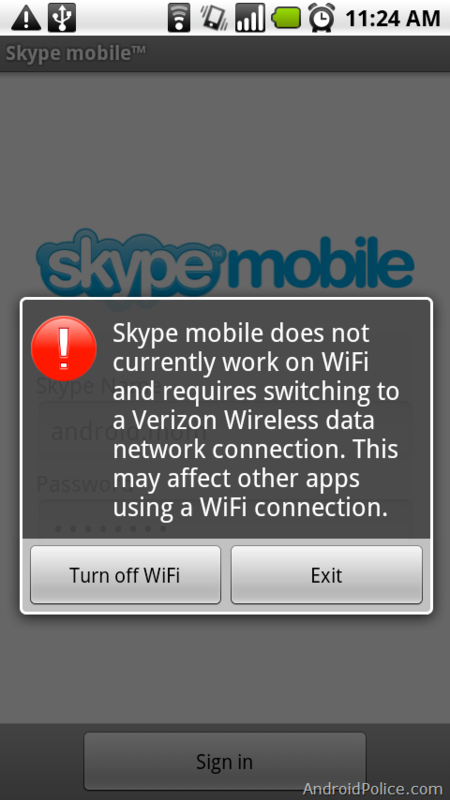 In fact, if your WiFi is on, you can't even launch Skype Mobile. We tried turning WiFi off, turning the app on, then turning WiFi back on but Skype seems to restart itself every time you change screens (even using the Recently Used App trick - hold the Home button for 2 seconds). Weak stuff, Skype. Weak stuff. 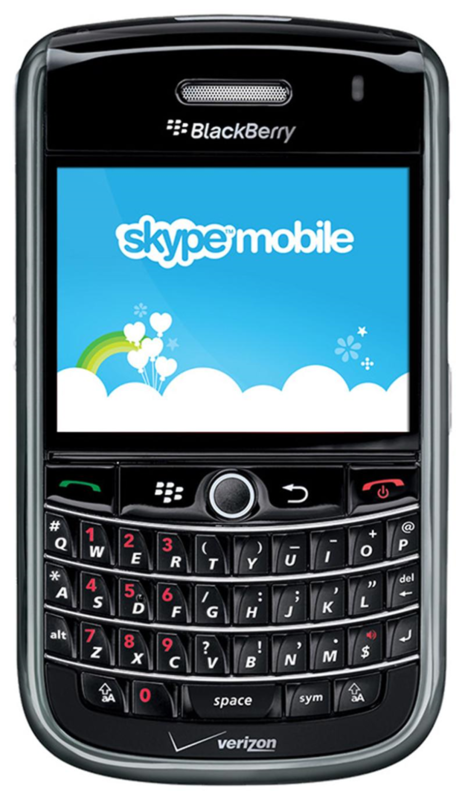 Android users may already be familiar with a Skype offering on the Android Market called Skype Lite. However, Skype Lite was buggy, didn't have any voice features (at least in the US) - only chat, and was therefore reviewed very poorly by the Market users. Skype removed the Lite version from the Marketplace in February. We welcome the sorely missed and highly anticipated new Skype app but we are very disappointed that it is only available on Verizon. Verizon has a soft spot for exclusive deals ever since it missed its chance to secure an exclusive iPhone deal with Apple. We are even more disappointed that the app cannot be used on WiFi and will actually deplete your voice minutes. Weak. 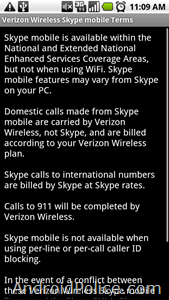 Here is to hoping that the exclusivity period for Skype Mobile will be short and Skype Mobile for other carriers will work on WiFi.